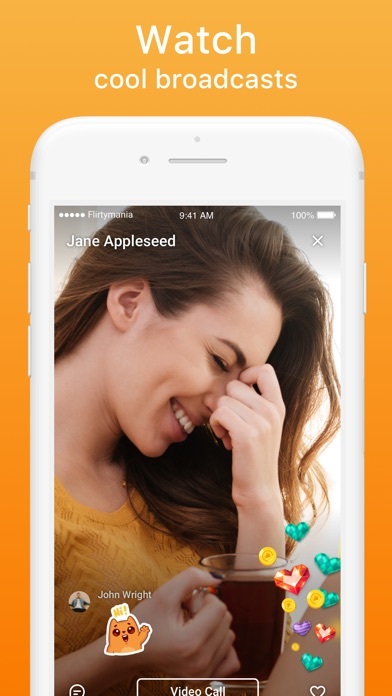 With over 50K DAILY users, Flirtymania is by far the best live video chat app on the App Store. Thousands of new visitors come every day to watch live streams and make new friends, and others host live shows and earn rewards online. The simple interface allows you to see everything our hosts have to offer, and the vast & diverse amount of possibilities will surely keep you hooked to your mobile. Just try once, and we promise — you're going to come back every day. - FEATURES - * Simple and elegant interface * Users from all over the world (17 different languages!) * Free signup * Enterprise level of data protection — Your information kept private and secure * Optional — Receive alerts when your favorite hosts go live DOWNLOAD Flirtymania NOW and let the show begin!!! I use to login with google and I can’t do that anymore what I need to do To save my old account ? ?